Guide to Blinds: What Type of blinds do I choose for my home? If properly chosen, blinds can add an element of style and complement any home. In case you have the intention of transforming your home, it’s the great idea to go for blinds. From Venetian to Roman Roller blinds, there are different materials of this type of window treatment that can get you the aesthetics that you desire. Another reason why homeowners use blinds is that they offer privacy. They can be adjusted to block the outsiders from peeping into your house. Another benefit of the blinds is that they keep the house warm or cool depending on the season. However, due to the huge number of blinds available today, it’s no mean task to choose the right one for your home. To make it easier for you to make the right choice, we want to discuss features of the blinds so that you’re well informed before you purchase one. There are various styles, colours and patterns of blinds that one can choose from. However, the secret here is to take into consideration the colour and décor of the place where you want to use the blinds. The common ones you can choose from include vertical, cordless, roman and mini blinds. Ensure that you stick to those that can amplify or enhance the colour and décor of the space. Blinds give you the power to have control over the amount and intensity of light that gets into your space. Therefore, it’s upon you to decide whether you want the window covered fully or partially, depending on the intensity of light you expect to get in. This way, if you’re sleeping, you won’t be disturbed by the sunrays. They are also great if you’ve got children as it doesn’t disturb them whenever they sleep. Also, the level of privacy at home is raised. There is a wide range of materials that are used in making the blinds. You can choose the materials based on the style as well as per your budget. The options of blinds are so many to the extent that each and every room can be matched with its own using the kind of décor and interior design. For instance, for wooden interiors, you can go for faux wood blinds. Other materials to choose from include natural wood, plastic, bamboo or aluminium. 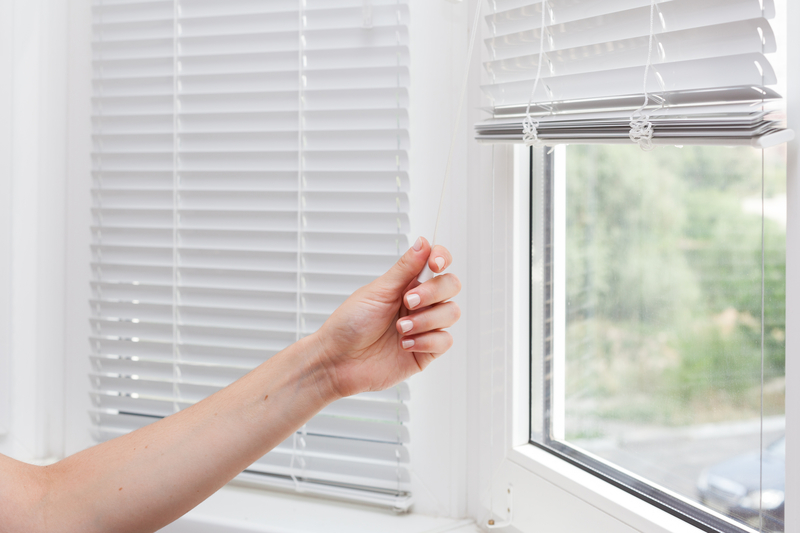 In comparison to other window treatments, blinds are by far much easier to clean and maintain. To this, you’ll only need simple water solutions and soaps. However, some may be more difficult to clean as compared with others. For example, vertical blinds versus the horizontal blinds. Also, other blinds require you to clean them by completely removing them from the window. Still, there are others that can be cleaning while still fixed on the windows. Without a doubt, the one that doesn’t have to be removed is much easier to clean and is more preferable.